The Traveling couple had dinner plans with the parentals so the rest of the girlies had to find dinner on our own. Miss Traveler’s mumsy bear recommended Madam Kwan’s and thus we navigated through the gigantic megamall and found it right next to the olive garden. We were warned that it was always busy but by the time we arrived at 8:30PM, there were plenty of seating. We were shown to our table by the window and flicked through the menu. Since we were so tired AND wasn’t super hungry, we got two mains to share. 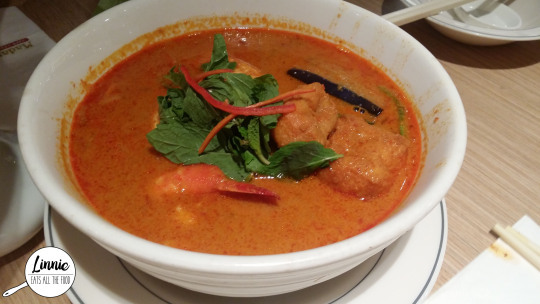 The first dish was the curry laksa because who goes to Malaysia and NOT have laksa? Surely not us. The laksa had a punch to it and was quite spicy, not what we were expecting. It had quite a lot of things in it – bean sprouts, tofu, chicken, eggplant and prawns. The laksa was very coconut-y and creamy and I felt like something was missing. It didn’t really hit the spot for me which was a shame. 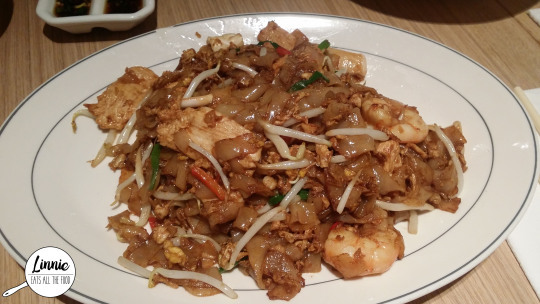 We also got the Char Kway Teow and this was quite oily and a tad on the bland side. I felt that it needed more seasoning and more of the ‘wok flavour’ if you know what I mean. 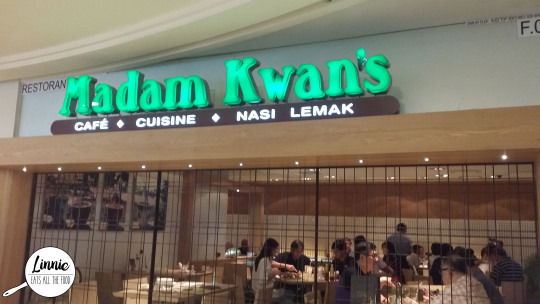 I was quite disappointed with the dishes since Madam Kwan’s was recommended to us by a few people. The dishes were quite expensive for the quality and I don’t think I’ll be dropping by if I’m in Malaysia again. Sorry Madam Kwan’s.